A former chancellor of Aberdeen University is celebrated in a new Scotch/Indian “fusion” whisky from a firm co-owned by one of its graduates. The Kincardine is the second whisky with a strong north-east connection to be launched by Fusion Whisky. Last year, the company introduced The Glover series of whiskies in honour of Fraserburgh-born and Aberdeen-raised “Scottish Samurai”, Thomas Blake Glover, who is revered as the founding father of 19th Century industrialisation of Japan. It pioneered the concept of fusing malt whiskies from international distilleries by blending Scotch with extremely rare whisky from Japan. The latest whisky is a fusion created from the Glen Elgin and Macallan distilleries on Speyside in Scotland and single malt from the Amrut distillery in Bangalore, India. 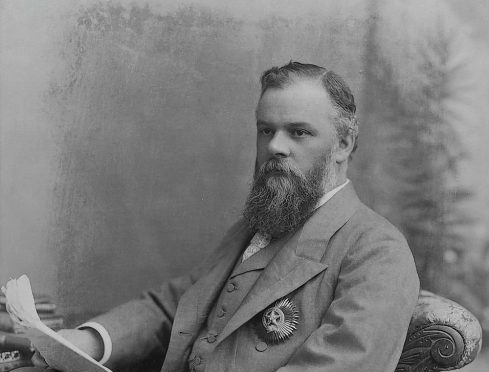 It honours Victor Bruce, the ninth Earl of Elgin and 13th Earl of Kincardine, who was viceroy and governor-general of India between 1894-99. Mr Bruce was a Scottish Liberal politician who distinguished himself both in Britain and in India. Among his achievements as viceroy of India, he pushed through massive improvements to the country’s rail system, helped secure its economy by stabilising the rupee, pacified its volatile border with Afghanistan and sought to alleviate the worst effects of drought and famine through a pioneering work-relief programme. On his return to the UK, he became chancellor of Aberdeen University – a role he held until his death in 1917. The Kincardine was blended by his great-grandson, Alex Bruce, master blender and managing director of Adelphi Distillery in Fife. Mr Bruce said: “I was really excited by both the challenge and the outcome. Only 800 bottles will be released, although Fusion said there was scope to produce more variants of both The Kincardine and The Glover in the future. Edinburgh-based Fusion is co-owned by Jim Millar, a visiting lecturer at Robert Gordon University and former Aberdeen University art history student, alongside Graham Langley and David Moore. An Aberdeen University spokeswoman said: “We are delighted to see one of our alumni develop their business with an idea that honours our former chancellor”.mer chancellor”.